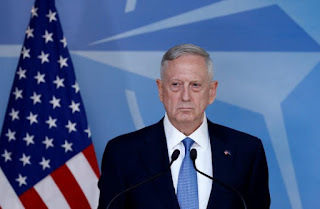 Do you ever get tired of saying, "SECDEF Mattis?" I sure don't. Our friends in NATO just got a little direction and guidance from SECDEF Mattis that is so welcome for my ears at least. Head on over to USNIBlog where I set out the details and a little commentary.